Anyone else tired of hearing all the motorcycle noise on Sunset at night. I’m forming a vigilante group to “investigate” further. Call me if interested in joining. Know what you mean Justin. We need to form a justice committee since the local police won’t seem to take any action. Let me know how I can help. I’ve been “Sleepless on Sunset” since the Reagan Administration. I’ve got lots of new household goods for sale. Wife moved out on me after a good three-week run of our marriage. Lots of these items were wedding gifts from local friends, so if you’re interested in retrieving your presents, come by anytime. I’ll make you a good price. You’ve got some nerve Paul. I want my candle holders back, you creep. So sorry that Rhoda left you. What price did you have in mind? But keep in mind Paul, you’ll always have those special three weeks. 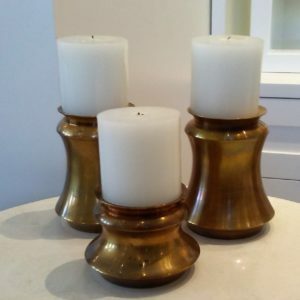 BTW, I’m interested in Anne’s candle holders. What would you take for them? How dare you Poppy! Paul, I’m on my way over to your house and you better not have sold them to Poppy. You poor guy! I feel badly for you Paul. Why don’t you tell me a little more about yourself. Repairman Needed! Can you recommend anyone reliable in the area? If I had a hammer, I’d hammer in the morning. I’d hammer in the evening. All over this land. Alas, I don’t have a hammer, so I can’t help you. I’m certified with a degree from Texas Sheetrock Tech. I do small jobs and prefer being paid in cash. I’m only in town for a short time. My parole officer back in Texas has been extremely patient with me while I seek work. I’m not really a repairman but would be glad to know more about the problem you’re having. And while you’re at it, why don’t you tell me about yourself. Looking to rent apartment or guesthouse in area. Hoping to find something for $300 or under. Any ideas? I’ll rent you my tool shed for $1,800. Have you considered one of the new apartments in the Caruso complex? Seeking a life coach. My husband turned out to be a total jerk, and I’m struggling to get my life together and back on track. We had such a good marriage going for almost three weeks, and then it just suddenly all fell apart. I’m also looking for some basic furniture, as well as a few essential household items. They can be such jerks. Good luck to you. BTW, there’s a local guy named Paul who is selling household goods. You might want to give him a call. He was just dumped on by some uncaring harlot. Anyone out there have any opinions about the new Caruso village complex? Has anyone weighed-in on the project yet? I’ve been away for a while. Nope! Haven’t heard anyone objecting to it so far. I wish more residents would speak up about their opinions. Everyone is so quiet. It certainly is very clean-looking. Is this Ricky Caruso married? This is to the person who wrote that the police department has not been taking action about the nighttime motorcycle riders. I want you to know we have lots of responsibilities that limit how much attention we can give to any one local matter. We do the best we can with the resources we have. Thank you, Officer Pease. I’ve always been supportive of our police officers. I would be more than happy to help out in any way I could. Are you in our area often? If so, why don’t you tell me a little more about yourself. This column is a riot — appreciated by this local who loves a good sense of humor. I think I especially appreciate this humor after years of doing “continuity” work from a good many TV writers…. Thanks for a good laugh — I’ll watch for Vickery “bits” whenever I see them. I love getting to know Bob Vickrey ! I have been told there is a “mute” button. Help, where do I find it? You mentioned a new mall? Where is it? Funny that no one’s mentioned it on ND. Please tell Taylor he can rent our garage storage shed for $2100. It’s an upscale storage shed, complete with a fresh water river running through it when it rains. Fantastic. Is it true Caruso is planning a BBQ pit restaurant ? Thank you, having just inadvertently started my own flame war on NextDoor, I appreciate this! It brings out the madness that apparently surrounds us in our idyllic, bucolic white-picket-fence neighborhood. It’s a war zone on those chat boards. Is the Carusoville economy so good that merchants don’t need to advertise or have sales? I do not see ads in the PP print newspapers. I am concerned the merchants may advertise in other media which might attract Flatlanders to PP!